PTI correspondents are also based in leading capitals and important business and administrative centres around the world. It also has exchange arrangements with several foreign news agencies to magnify its global news footprint. 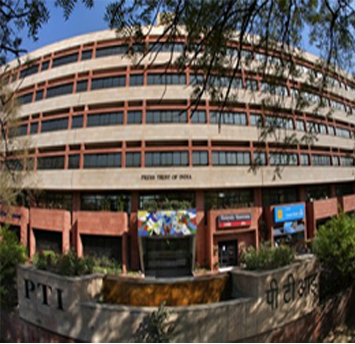 Currently, PTI commands 90 per cent of new agency market share in India. PTI was registered in 1947 and started functioning in 1949. Today, after 65 years of its service, PTI can well and truly take pride in the legacy of its work, and in its contribution towards the building of a free and fair Press in India. On its golden jubilee in 1999, President K R Narayanan said:"We got independence in August 1947.But independence in news and information we got only with the establishment of PTI in 1949.That is the significance of PTI..."
PTI is run by a Board of Directors with the Chairmanship going by rotation at the Annual General Meeting. The day-to-day administration and management of PTI is headed by the Chief Executive Officer. Mr Vineet Jain Bennett, Coleman & Co. Ltd.
Mr Mahendra Mohan Gupta Jagran Prakashan Ltd.
Mr Aveek Kumar Sarkar ABP Pvt. Ltd.
Mr M P Veerendra Kumar The Mathrubhumi Printing & Publishing Co. Ltd.
Mr K N Shanth Kumar The Printers (Mysore) Pvt. Ltd.